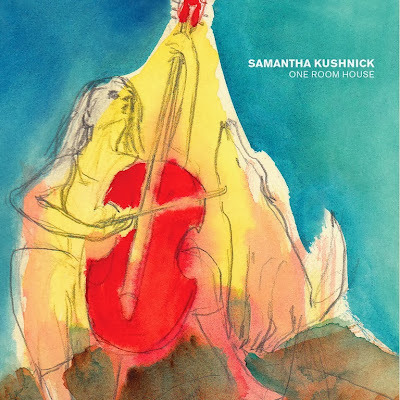 Samantha Kushnick released her solo debut album, One Room House, last week. Check out a couple of tracks from the record below. One Room House was recorded and mixed in Portland by Lee Howard at Mystery Machine Studios (Y La Bamba, Nick Jaina) and mastered by Tom Swift at Swift Kick Productions (Miles Davis, BB King). The album is graced with performances by some of Portland’s finest musicians. Nick Jaina and Matt Berger (drummer for the Portland Cello Project and Laura Gibson) appear on the record as do Anna Fritz of the Cello Project and Jay Cobb Anderson and Mimi Naja of the string band Fruition. Based in Portland, Oregon, Samantha Kushnick is a cellist, singer and songwriter in the folk tradition. She performs with the Vancouver Symphony in Washington state and has toured nationally with the Portland Cello Project and Typhoon, Portland’s thirteen-piece indie rock ensemble. Sami graduated from the Oberlin Conservatory in 2007 with a degree in cello performance. She was raised in New York in a musical family (her great-uncle, Fred Hellerman, is a founding member of the folk quartet The Weavers). Sami began playing cello at the age of ten and has studied with renowned cellists Matt Haimovitz and Hans Jensen.